The Fortunate Few book is here! With 3008+ sold and counting! Be financially free, and live the lifestyle you want. Let us guide you to wealth and freedom. 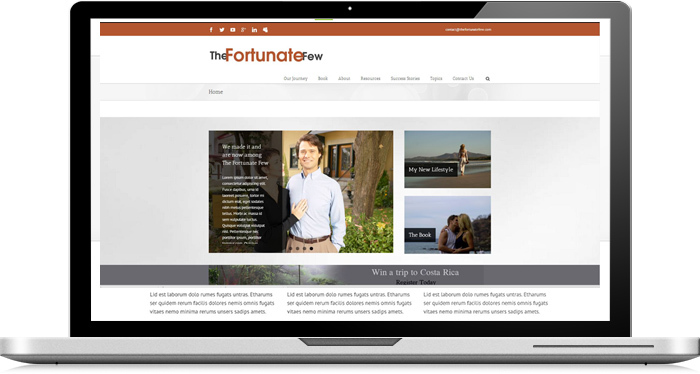 The ebook The Fortunate Few is loaded with useful tips and information. Here comes a fresh educational book on financial tools and strategies, with anecdotes from a couple who worked their way to financial freedom, retired young and became financially free, fully enjoying a life of passion and adventure. Yes these things happen to real people. Join Daniel and Carole, a normal, average Canadian couple, as they share their journey on how to succeed and live a life some only dream of. Financial freedom is attainable. Are you ready to be among The Fortunate Few? If your goal is to retire young or if you need to be inspired to move on, this book is for you. Daniel Lavigne and Carole Drouin retired in their 40s earning average incomes and living a modest life. You can do it too! This no-nonsense guide focuses on a 10-year plan to retiring early: get your copy and find out about the strategies essential for a comfortable retirement at any age. 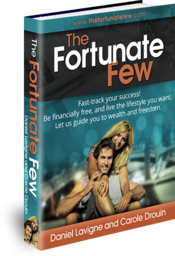 The Fortunate Few – An Amazing Book: a must have! Be among The Fortunate Few and live the life you’ve always dreamed of! 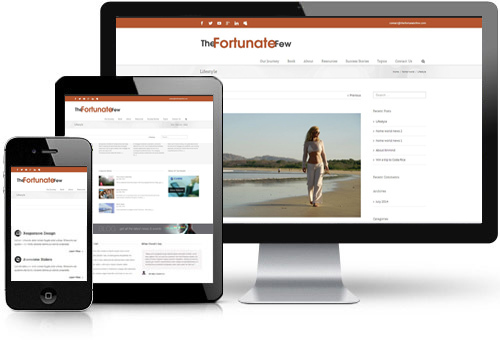 Join the fortunate few who live an amazing life. There is only one way to succeed at anything and that is to give everything. Winners are not people who never fail, but people who never quit. Take the steps others aren’t willing to take, and you’ll get the things others will never have. Repetition is the mother of skill. Therefore, excellence is not an act, but a habit. I’m going to make the rest of my life, the best of my life. How to read an ebook or Kindle Book without a Kindle! the same ebook or Kindle book on a Kindle device if you own one. and pick up where you left off on another device. You can also switch between reading and listening to your Kindle books. If you purchase the audio companion and keep the story going while you’re commuting, cooking, gardening-any time you can’t read but are free to listen. Adjust a book’s text size to your desired comfort level for easier reading. There are many reasons you should download the Kindle Reading App. 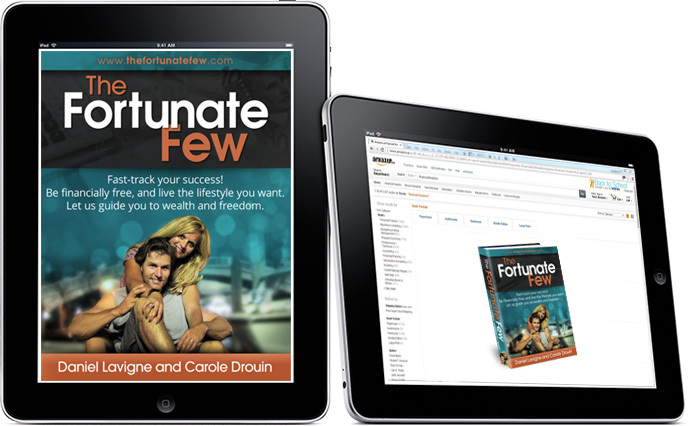 Do it today and read “The Fortunate Few” ebook and fast track your success and live your dream. Read it on whatever device you want! Over 3,000 on standby! If you’ve wondered why some are financially independent and wondered how they do it, this couple shares their secrets. It isn’t rocket science. 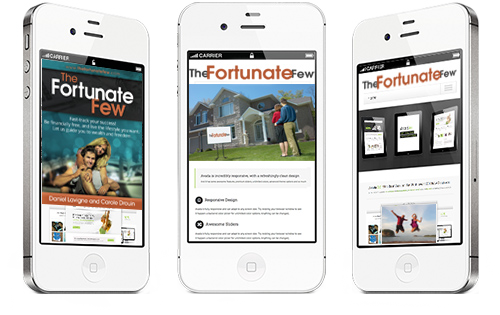 Read The Fortunate Few and get some ideas that may inspire you to follow your dream!